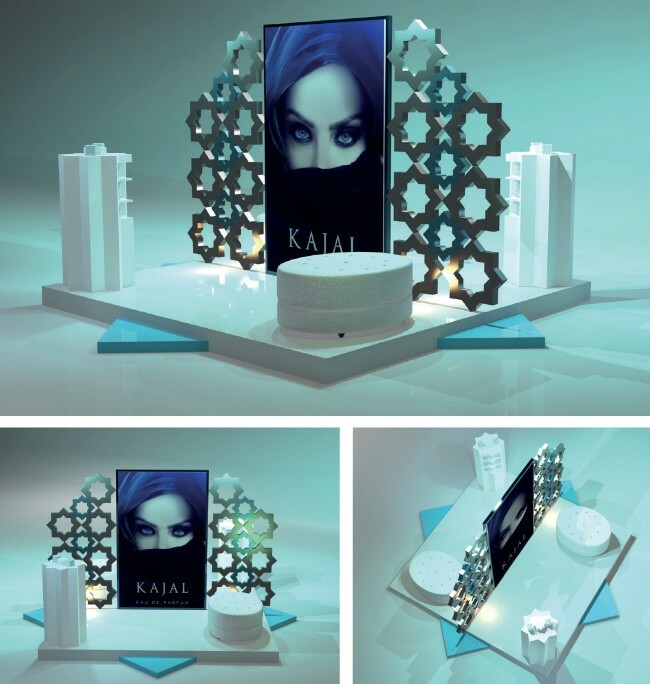 Kajal is a new fragrance concept introduced in Dubai. 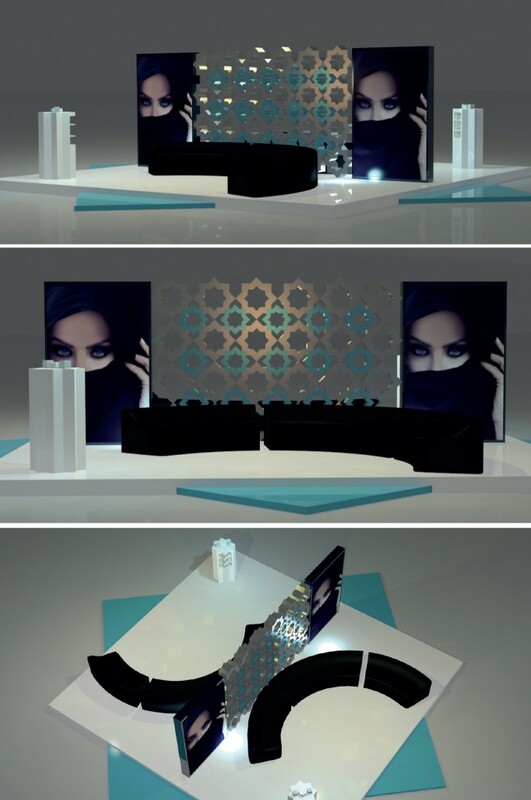 After developing the full branding of the perfume (concept, packaging, promo material), Tarek Atrissi Design was asked to design 3D elements / point of sales for the product, such as Podiums to be used within malls, or smaller floor merchandisers and displays for the product. The designs were based on the geometric arabesque pattern that was used as a main design element in the Perfume bottle design itself. 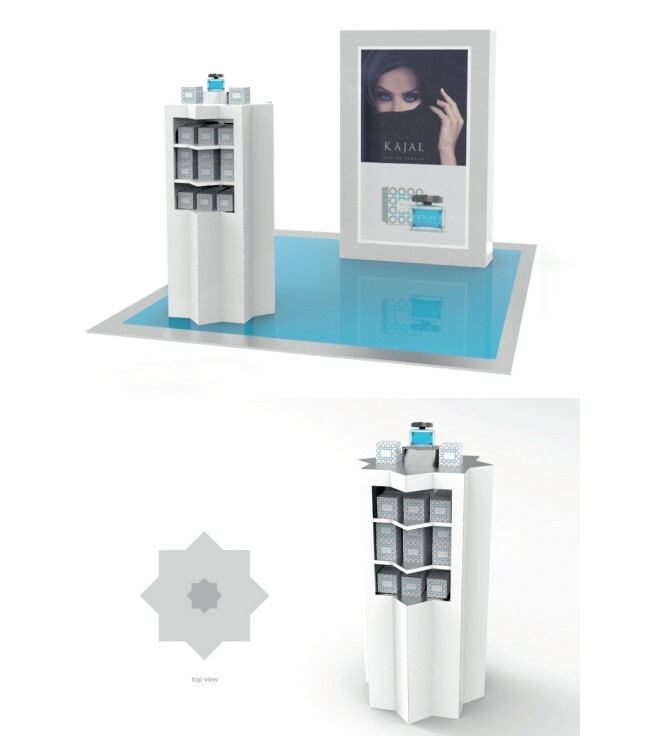 Combined with the brand colors and the main product advertising photographs, the 3D elements created an atmosphere consistent with the overall look and feel of the perfume identity.